Does anyone remember the cartoon Animaniacs? They used to sing ridiculous songs (some of which were quite educational, btw), and we had a bunch of the songs on cassette tape. Yes, cassettes. Dated myself. 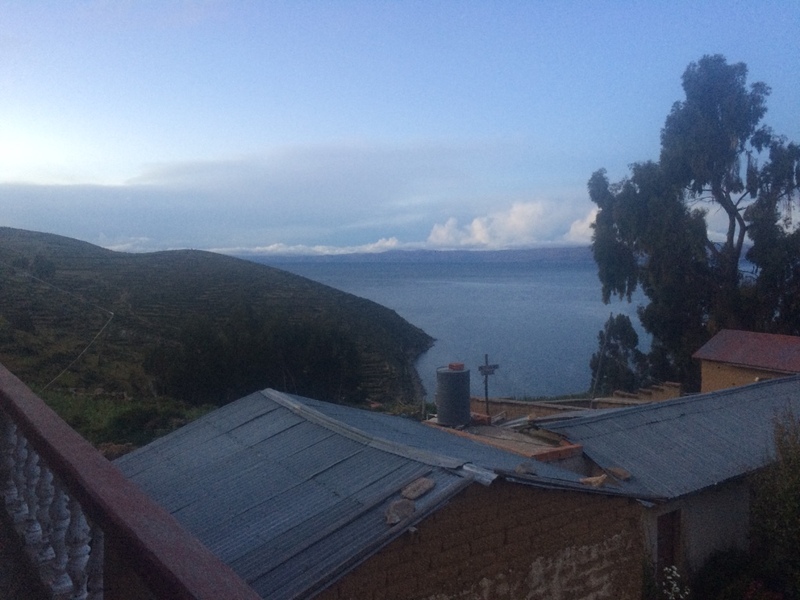 Ok there's another verse I will refrain from typing out here, but the point is that I've heard about Lake Titicaca for basically forever. Which is why I was dying to FINALLY get to visit it! 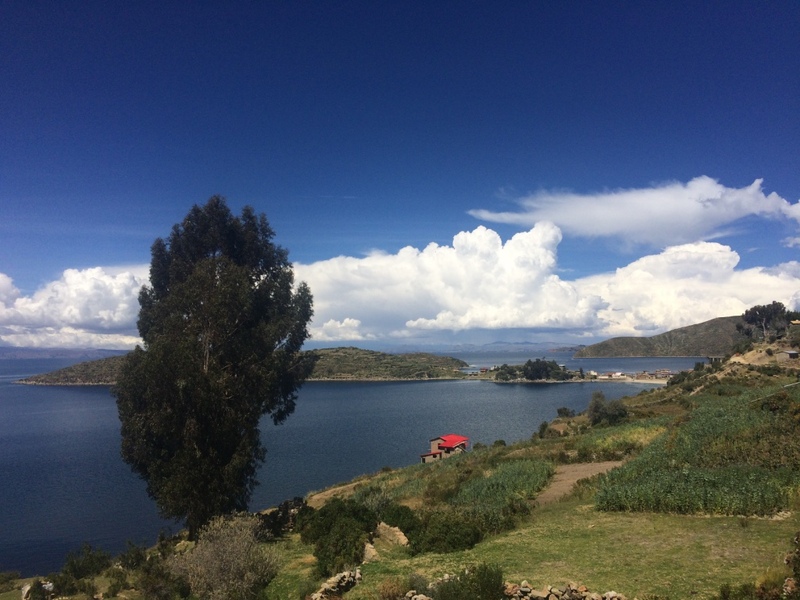 Lake Titicaca is yes, a lake between Bolivia and Peru. It's huge - the largest lake in South America - and is also the highest navigable lake in the world, at over 12,000 ft. above sea level. 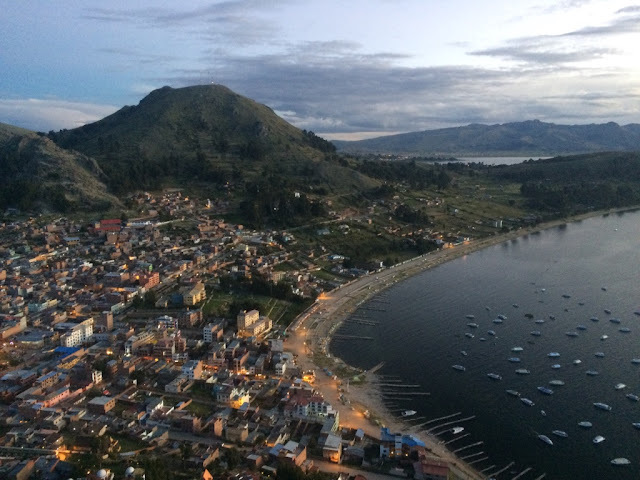 Many towns dot the edges of the water on both sides - my first stop was Copacabana (which yes! Sounds just like the famous beach in Brazil). Except it's in Bolivia. And it was freezing at night. Not only is Copacabana a cute little town on the edge of Lake Titicaca, but it's also a great departure point to visit Isla del Sol, an island on the lake. 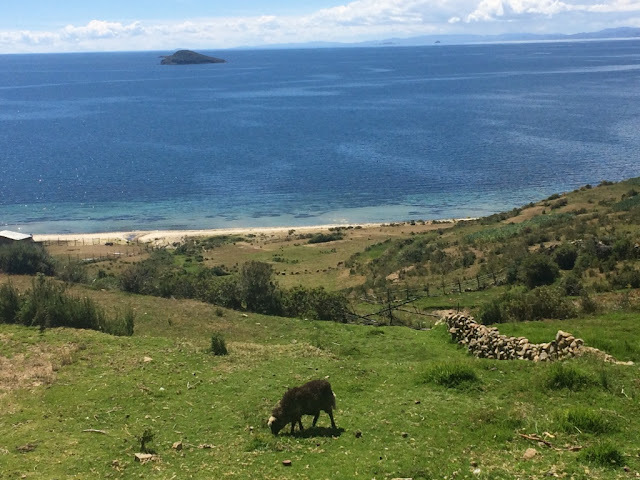 Isla del Sol has no cars or vehicles, and is a picturesque, charming island with some beaches, ruins, and hills that you can hike for breathtaking views. 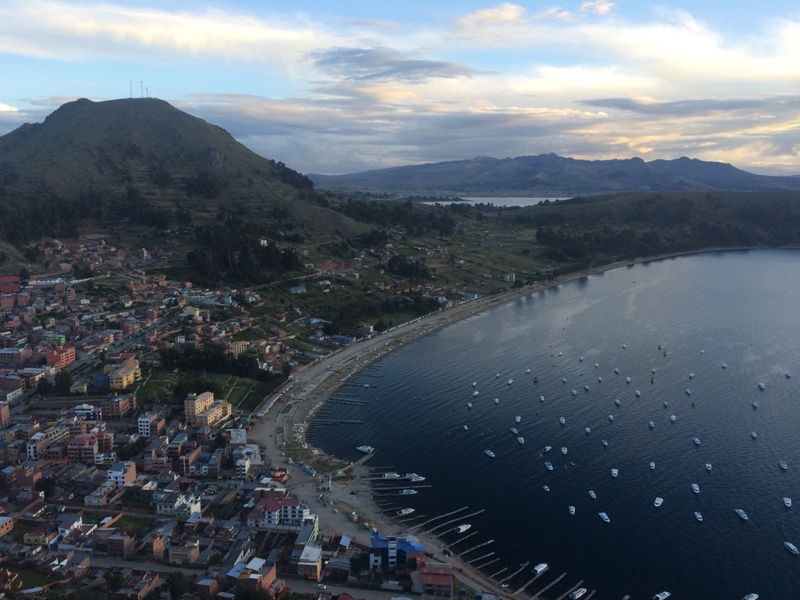 Arrived to Copacabana by way of a 4-hour bus from La Paz. 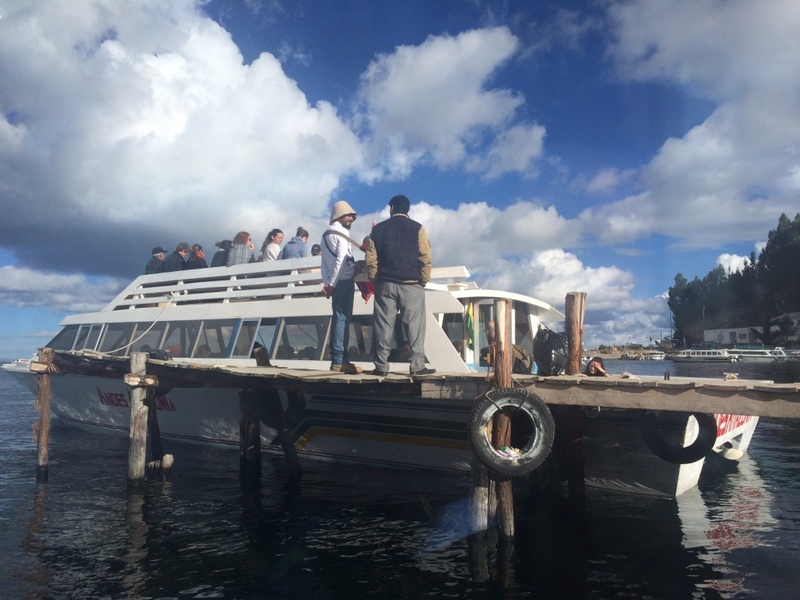 There's actually a part where they force you off the bus and ford the bus across a lake inlet, while the passengers have to take another small boat. 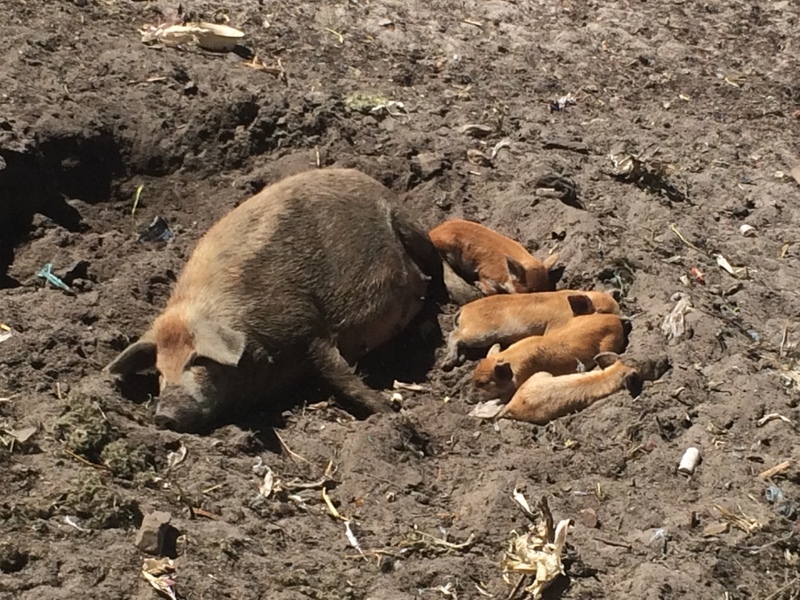 It was just like the Oregon Trail. My first night in town, I got to meet up with Keela and Will, who were on my Salar de Uyuni tour. They had to leave the next day, however, as they were heading to La Paz. For sunset, I hiked up to a hill called Cerro Calvario, which overlooks both Copacabana and the lake. The sunset was a little cloudy, but still gorgeous. 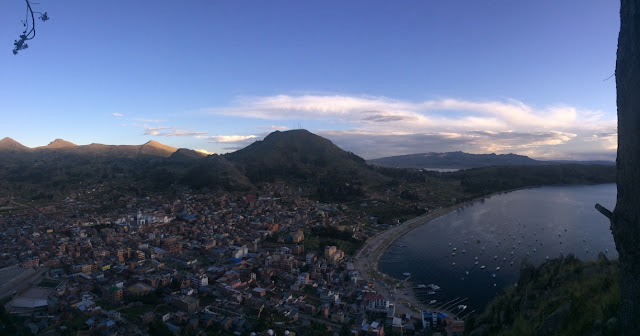 Also, here is where I admit that the hike to the top of the hill only took about 20 minutes, but it was very prolonged by the fact that the altitude here is cray and I was huffing and puffing and resting every 5 steps. 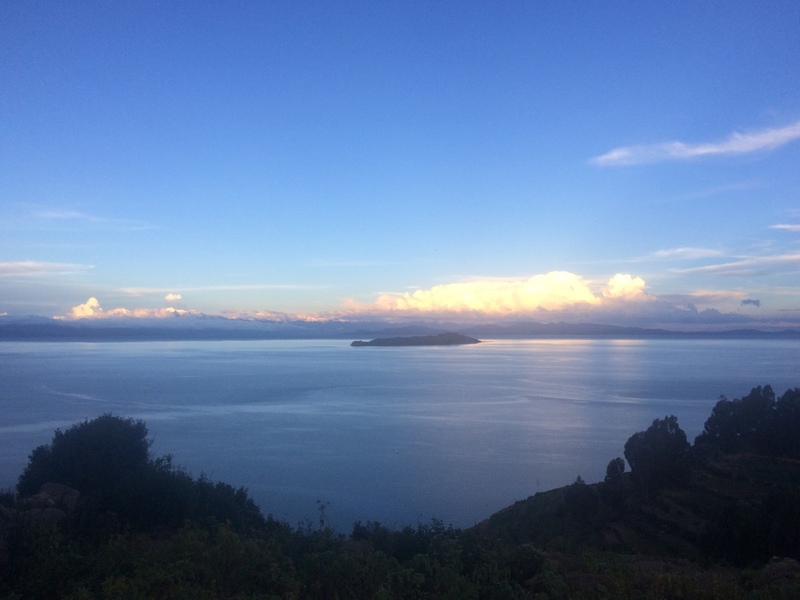 The next day, I set off on the early morning 8:30AM boat for Isla del Sol! There are tons of vendors by the harbor selling various tickets, and the entire ride costs about $3. 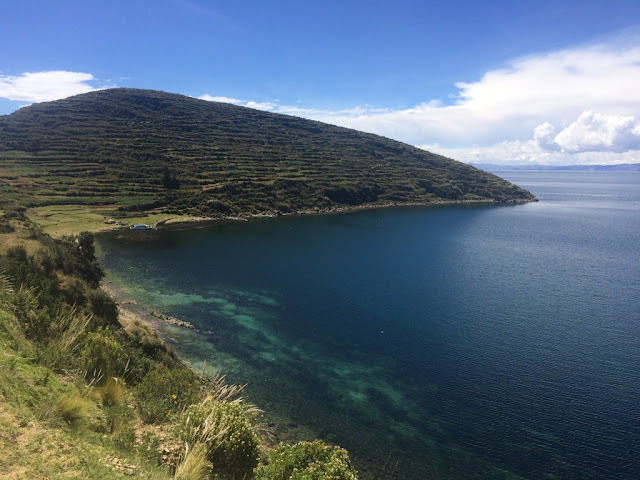 The boat ride out to Isla del Sol takes about 1.5-2 hours (depending on if you're going to the North tip or the South tip), though I suspect the entire trip could be done much, much faster because the boat was suuuuuper slow. Such a nice day for boating! 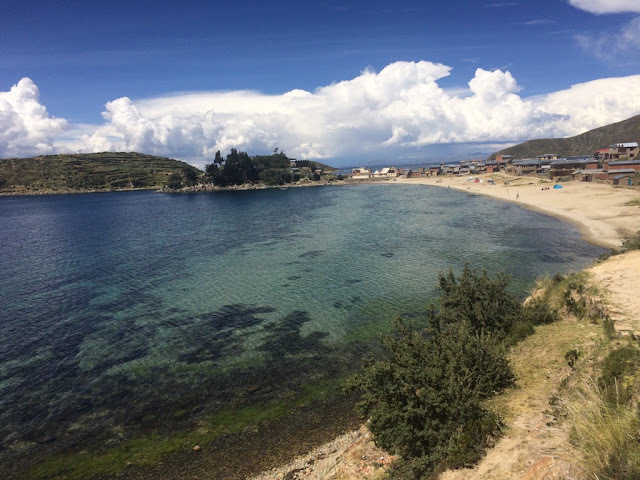 I got dropped off on the Northern tip of Isla del Sol, which is a little less developed than the Southern tip - but has more beautiful beaches and scenery. 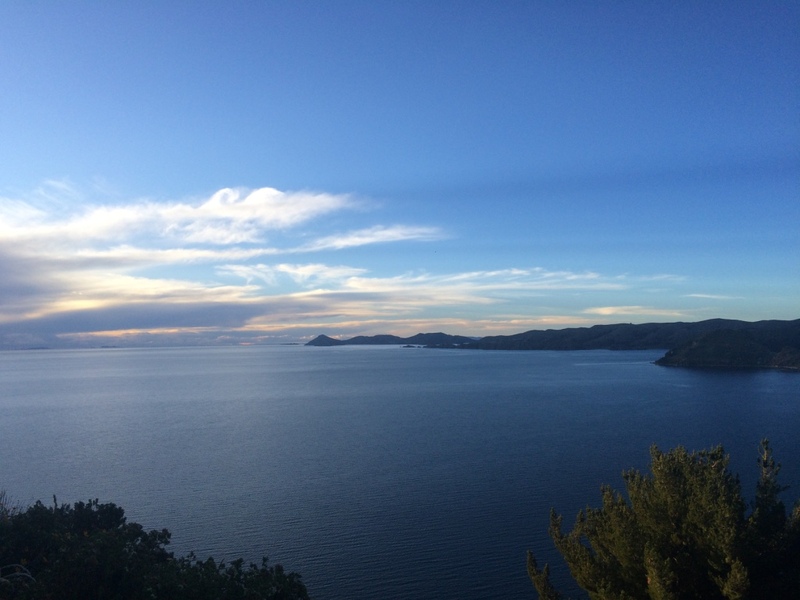 My intention was to hike the 4-5 hours to the Southern tip of the island, and then stay there for the night. Getting off the boat, I met a fellow backpacker, Nicky - he's Dutch - and he was doing the same trek, so we decided to do it together. 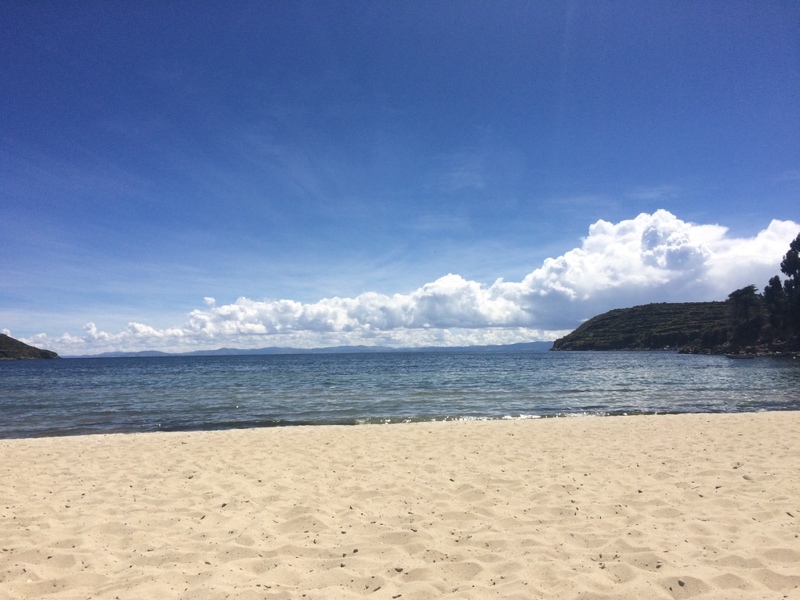 The first stop, 5 minutes from the boat dropoff, was this beautiful beach. We maybe laid out and ate empanadas and hung out here for a couple hours. It was so, so nice. And I did get in the water, and I can confirm that Lake Titicaca is very cold. 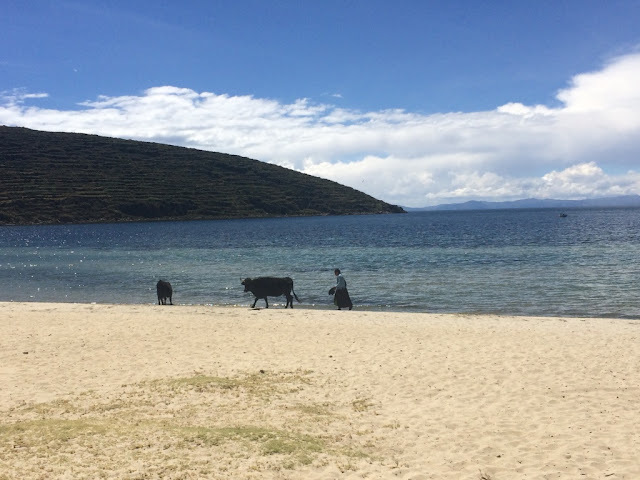 Lake Titicaca is so huge that you think it's like the ocean, until you see a local woman walk her cows to drink from it. A couple hours later, after soaking up the sun from the beach, Nicky and I actually decided to start on the hike. Everyone we spoke to said the entire hike to the South part of the Island (called Yumani) would take us about 4 hours. Well, let's just say that after a couple detours here and there, it took Nicky and I about 5.5 hours in total - by the end, we were semi-scrambling to get to the tiny town in the South before it got dark. But the VIEWS. It was stunning every direction you looked - add to the fact that there weren't that many people, and the entire island feels a little isolated, and the locals still dress pretty traditional, and it was an amazing day. I am managing to look awesomely nerdy on this trip constantly. Fun tip - I left my behemoth backpack with the hotel in Copacabana so that I wouldn't have to hike with it, and only carried a daypack. Funner tip - Nicky did not; so he hiked with his giant bag and I give him props because the altitude is so killer that I was dying, even with my daypack. A sweet little red-roofed house. 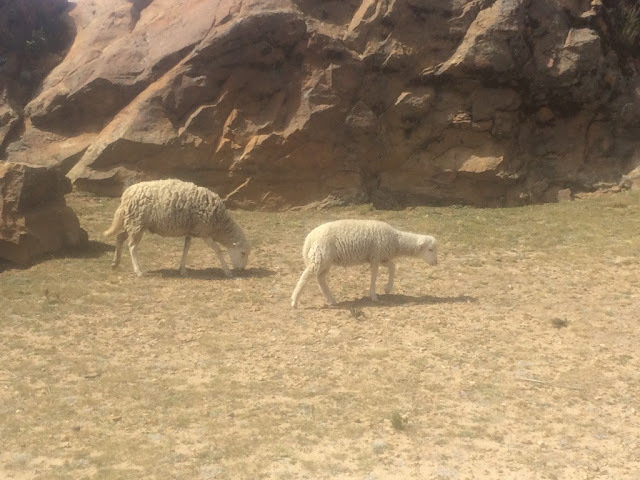 Remember how in Lesotho, I was telling you about how sheep used to have long, fluffy tails until it was bred out due to some disease? WELL HERE IS PROOF. See the sheep on the left? Look at his tail! HOW CRAZY IS THAT. 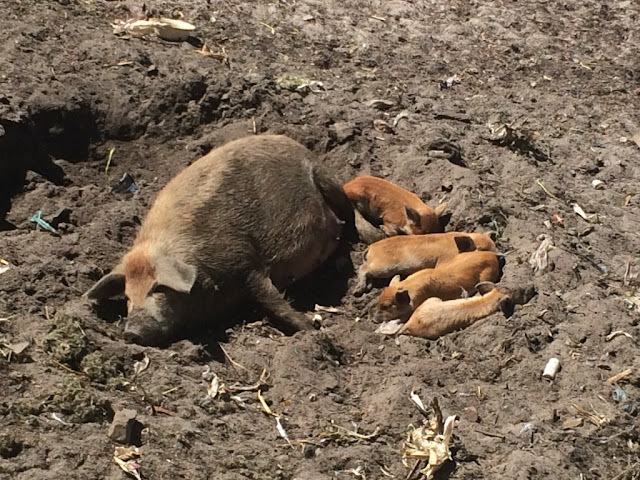 Nobody seems to think this is as fun of a fact as me, but I may have spent half the hike chasing down sheep and trying to take photos of their super-weird looking tails. 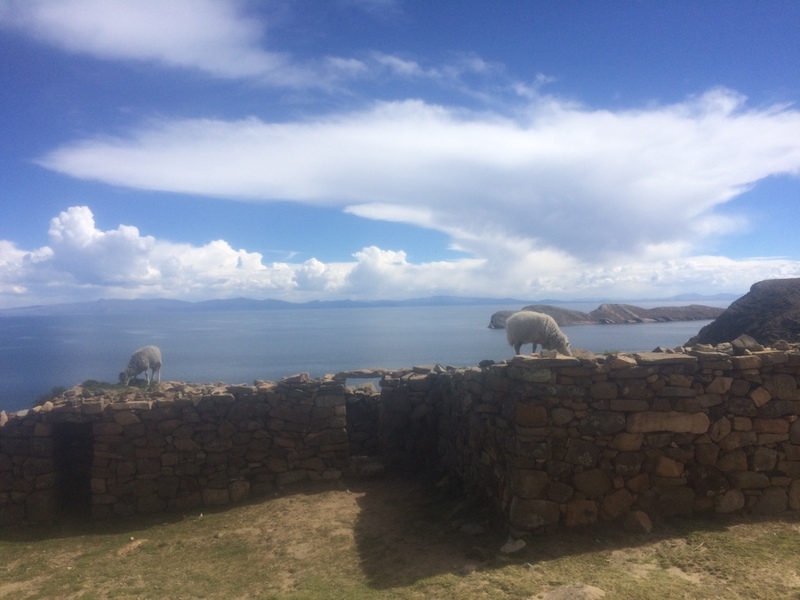 We reached some Incan ruins, where the sheep were basically on top of the structure trampling it away while eating grass. 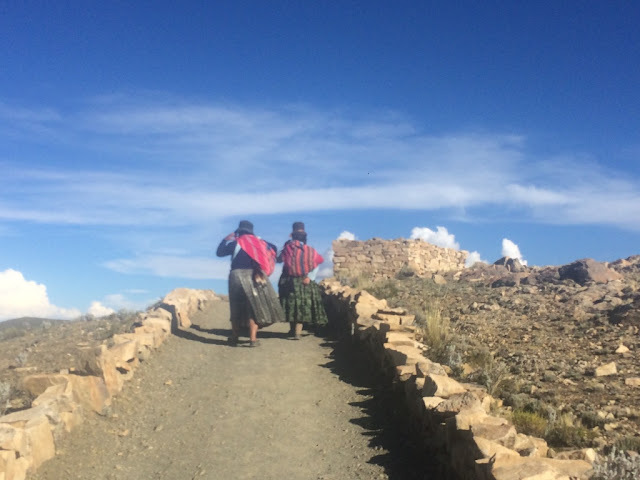 Some local ladies walking the path ahead of us. This is very traditional dress in these parts - the long skirts, braided pigtails, and top hats. 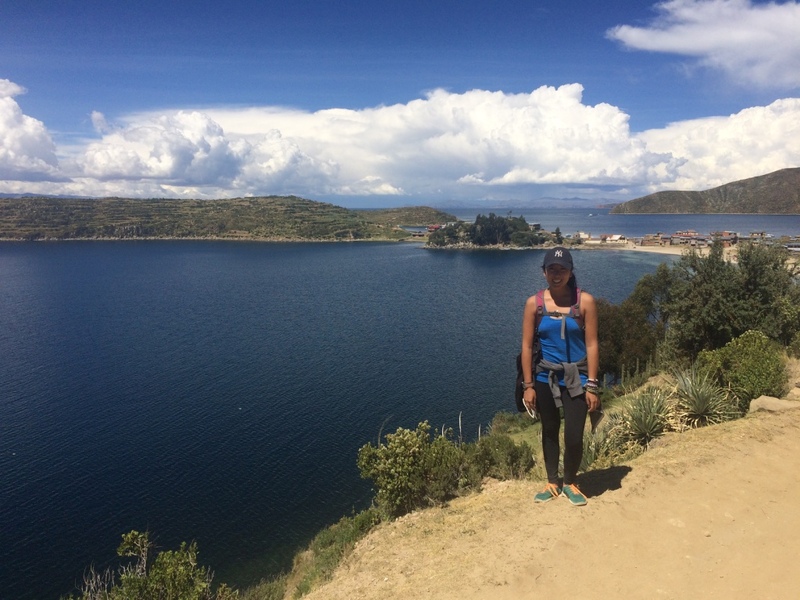 And then we finally reached the village of Yumani! 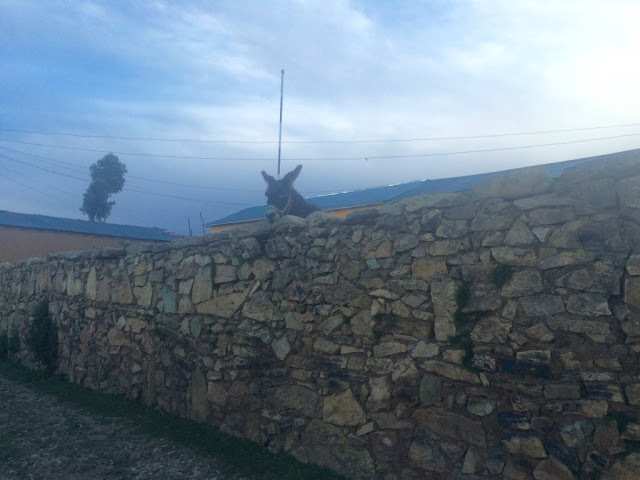 Where we were greeted by this donkey on his hind legs, trying to look over the walls. Sunset views from Yumani were SO PRETTY. Such fluffy clouds! There's tons of locals in Yumani that offer rooms to rent - there are hostels too, but they were kind of hard to find given the number of crazy winding streets and lack of people everywhere. Just as it was getting dark, a lady approached Nicky and I and offered us a room in her place for 20 Bolivianos a night, per person. This is basically a little over $3. We paid $3 each for a room. 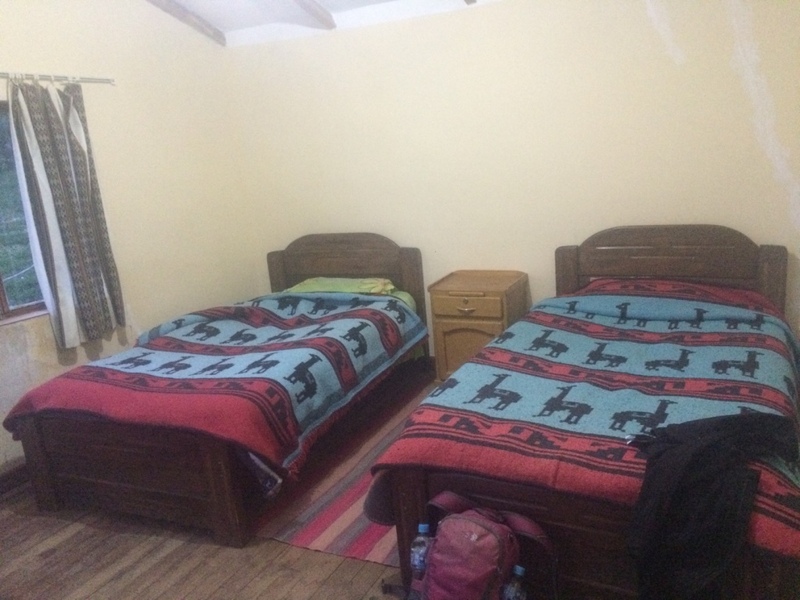 Our $6/night room! Adorable llama comforters! And the hottest shower ever (which is a MIRACLE given the toilets still require manual flushing here - that basically means you have to hand flush everything with scoops of water). I won't mention here that I think I might have gotten bedbugs from this bed.....either that or there are numerous tiny mystery insects that crawled down my shirt and bit me all over my stomach. And we had the entire place to ourselves! This was our evening view from the balcony out front. I also can't tell you how beautiful the stars were at night. There's basically no light pollution from the island, and there were so, so many. 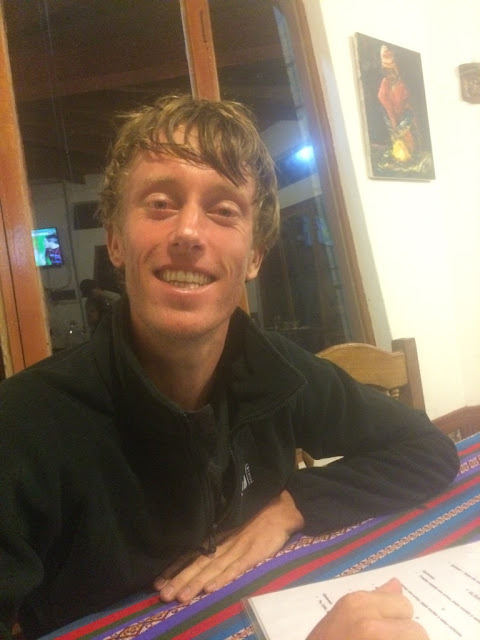 Nicky, at dinner - I'm not sure he'd be too pleased that this is the photo I included, given that the only reason I took it was to show him how sunburned he got. (The sun at these altitudes is no. joke. I saw more super sunburned people than I've seen in a long while). 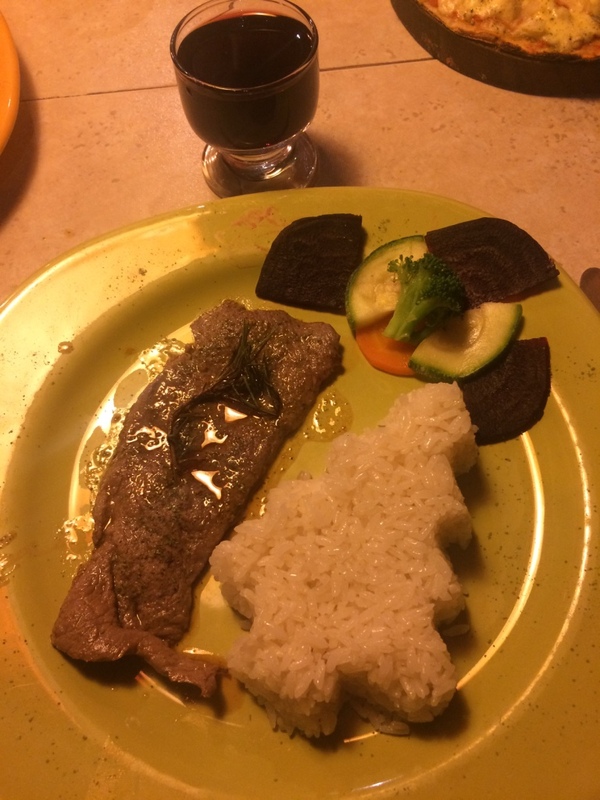 I only took a photo of dinner because I loved that my rice came in a Christmas tree shape! Little joys, people. That evening, there was the world's largest/craziest/windiest/loudest thunderstorm ever - and I loved it, lying in bed, listening to the sounds of the storm outside, in the middle of this tiny, sparsely-inhabited island without flush toilets. There weren't even many tourists, as a lot of tourists choose to do Isla del Sol as a day trip, so the island empties out after the last boat leaves. It was the best. Nicky and I headed out the next morning by 10:30AM boat back to Copacabana.